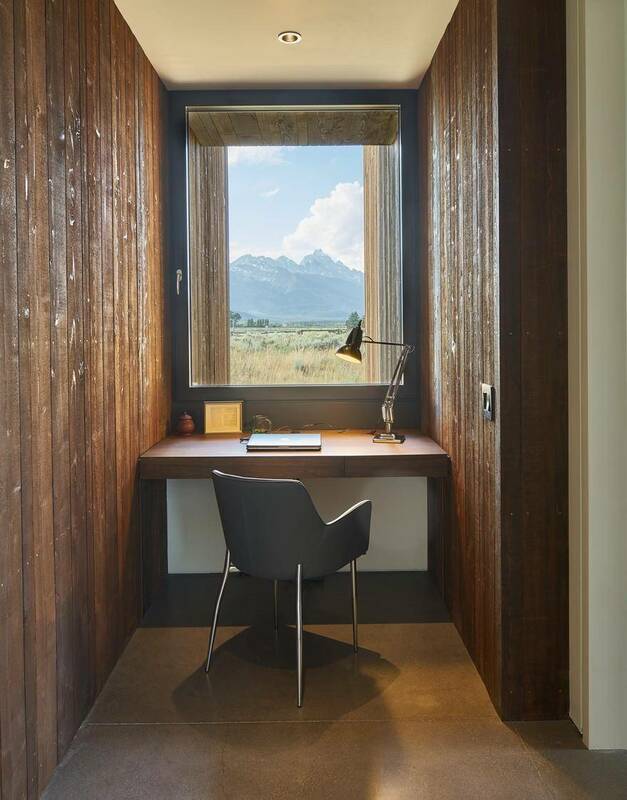 To Jackson Hole, Wyoming locals, the timeless beauty of the Grand Tetons is a revered landmark. 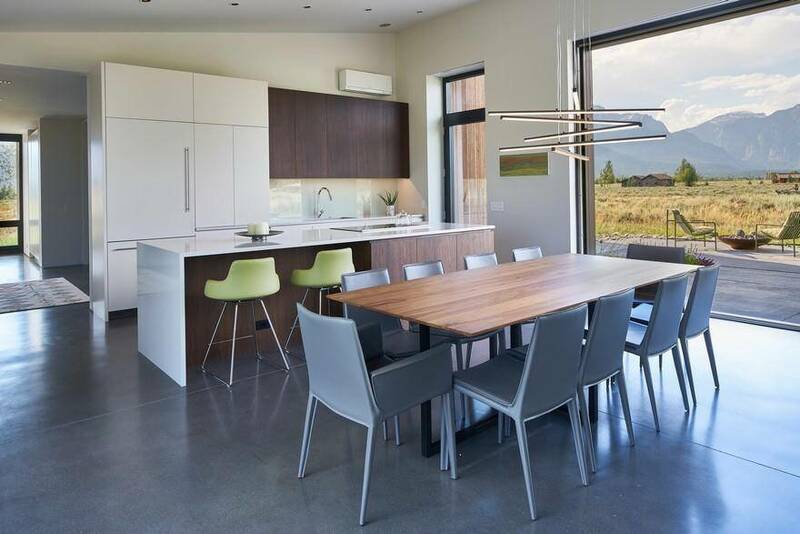 Rich Assenberg and Nathan Gray, of kt814 architects, took this into account when designing this passive house inspired home. 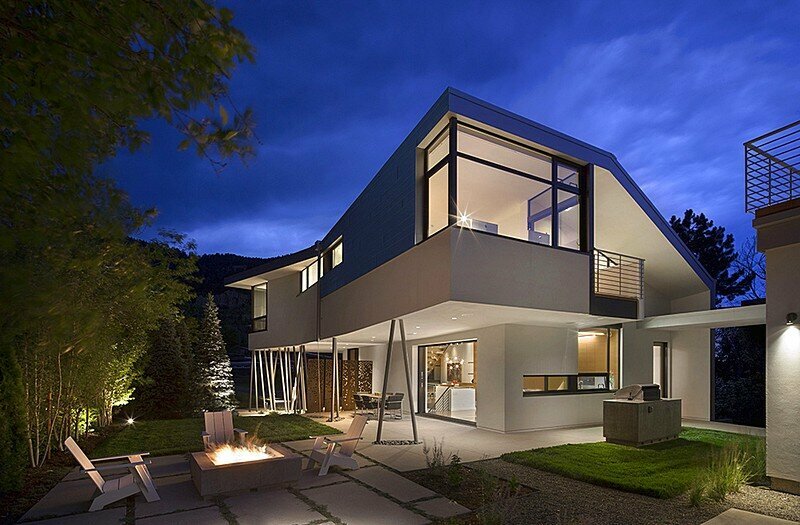 Sustainability, low maintenance costs, privacy and unobstructed views were priorities. The homeowners, Phil and Carol Schoner are retired, and now spend ample time volunteering for the National Park Service. Carol was a chemist for Proctor & Gamble for 20 years and Phil worked as a chemical engineer. 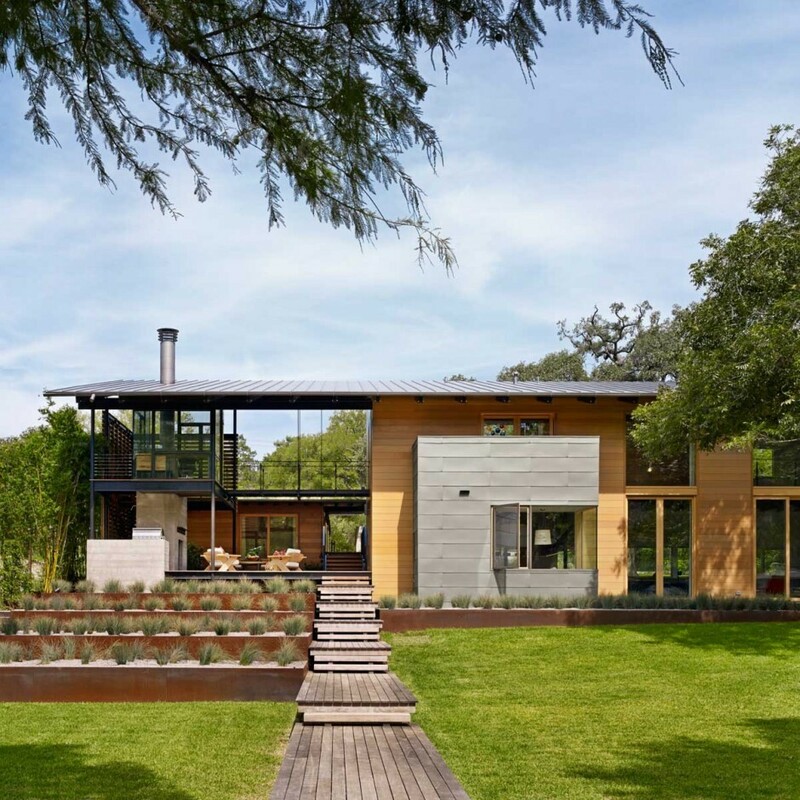 After living in a mobile home for 10 years, they sought to build a home in close proximity to their grandchildren, and to allow for easy aging-in-place by incorporating universal design. 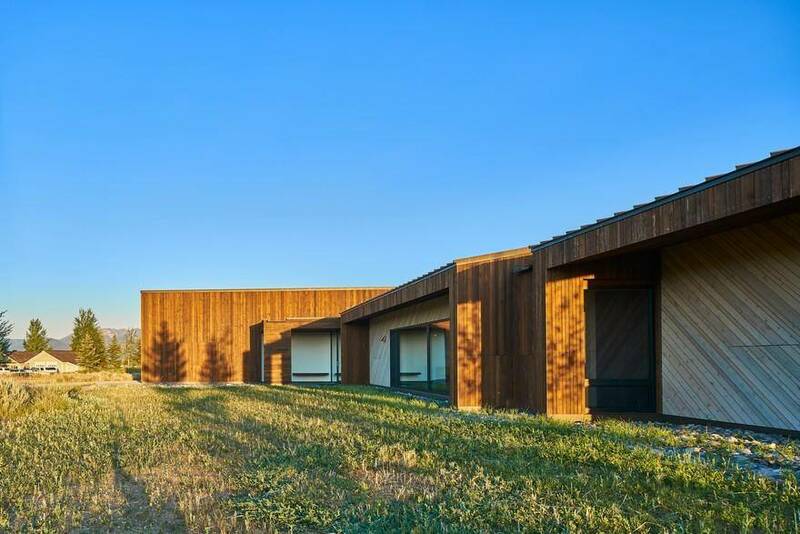 A series of three Douglas fir and cedar-clad, connected pavilions compose the architecture on the two and a half-acre parcel. 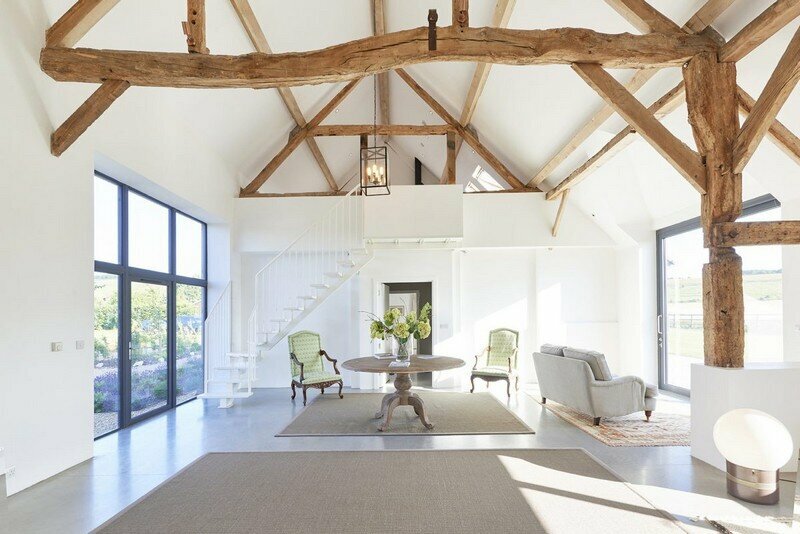 The first, a large main house with kitchen/dining and open living room. 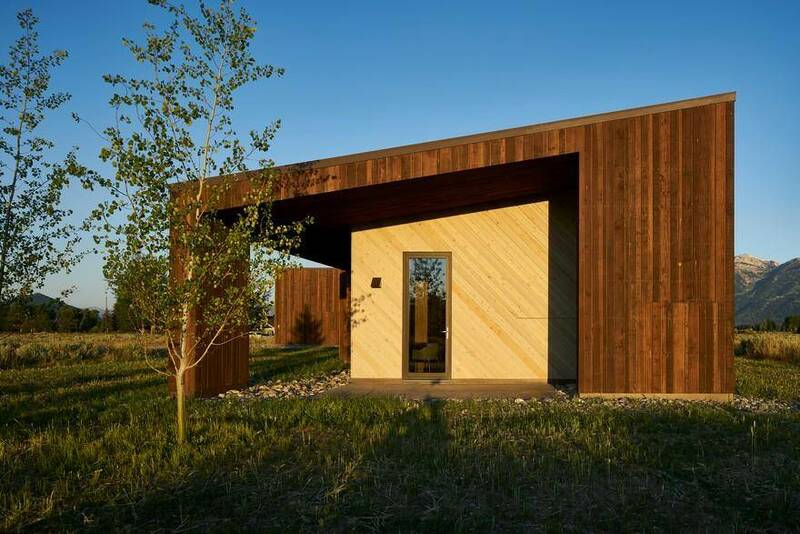 Second, a pavilion that is broken with an office space that showcases a guest studio with a bedroom and bath. 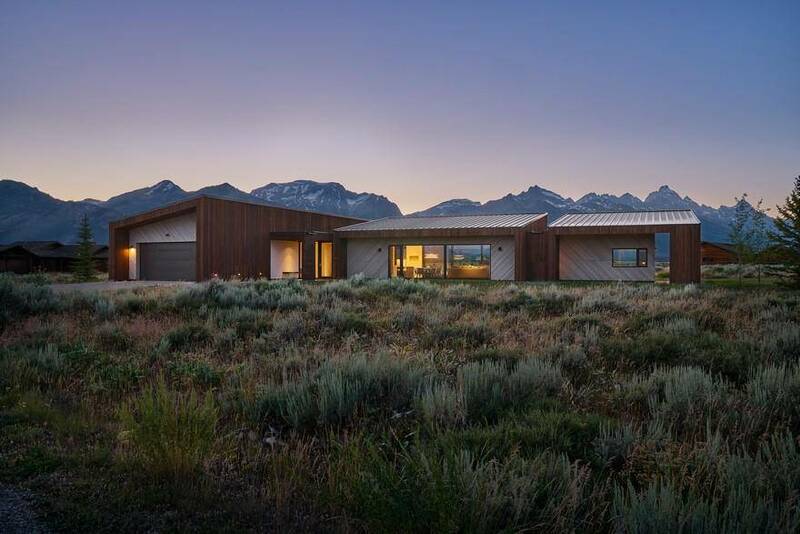 The final structure shifts direction to the west–to block traffic from the main road–creating a private pocket of space for the master wing of the home with views of The Sleeping Indian mountain range, complete with a garage and mudroom attached. 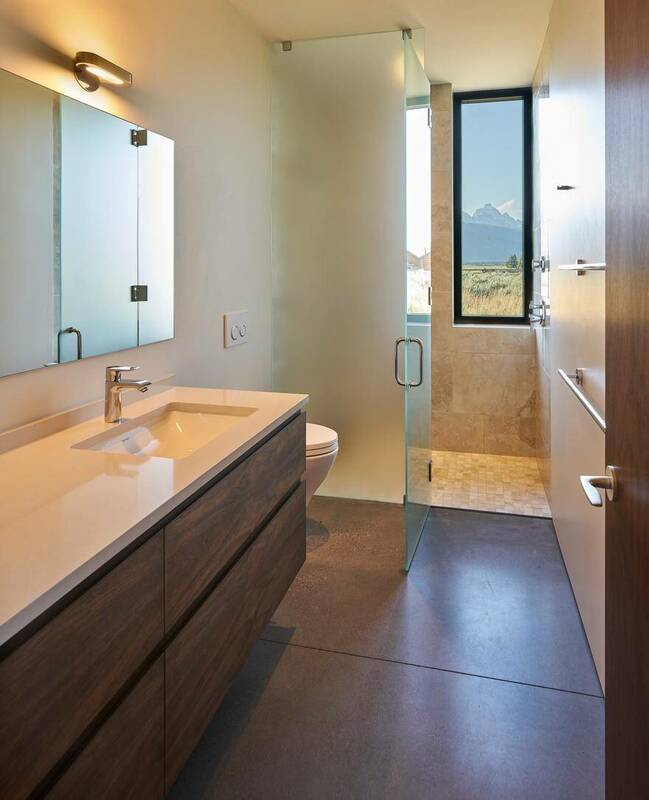 One of the challenges in the design was to position the home so it blocked the surrounding houses in the area to provide privacy, and in return, offer sweeping, unobstructed views. 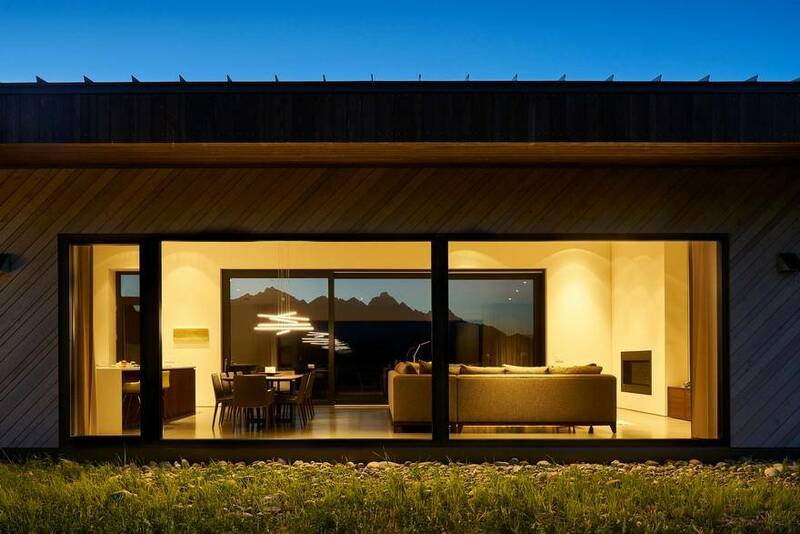 The glass entry way deliberately draws attention to the magnificent Teton Range beyond. The winged exterior walls block the houses to the north, while as you travel through the hallway, the main circulation of the home, it purposefully hides all the homes to the east and west. 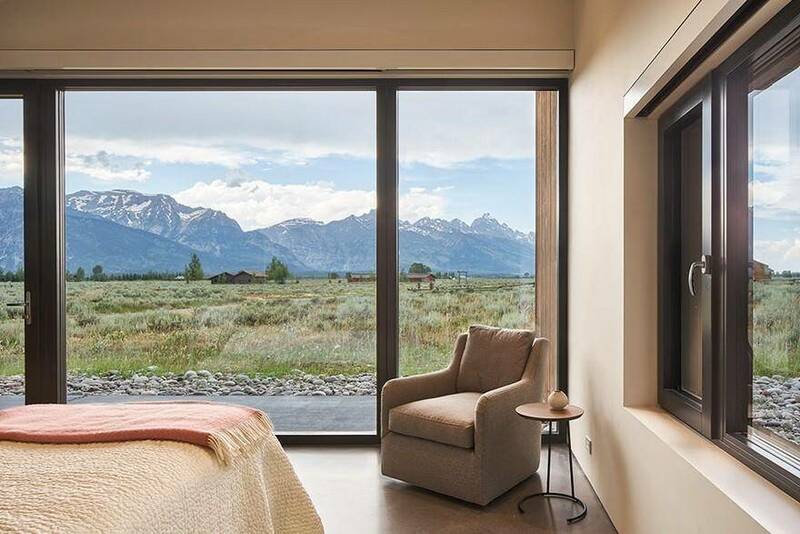 Adhering to Jackson Hole passive house design, kt814 incorporated strategies such as an airtight double wall system with super insulation, hydronic radiant-floor heating, and high-performing FSC-certified Thermo Clad Pine triple-glazed windows from Zola Windows. 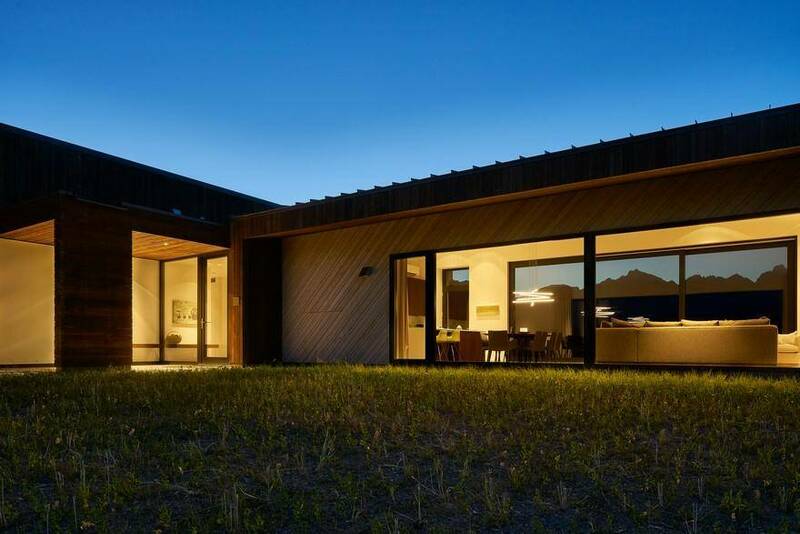 The strategically positioned southern facing windows with the four foot overhang receive winter gains, yet keep the buildings’ thermal mass in the shade in the summertime. 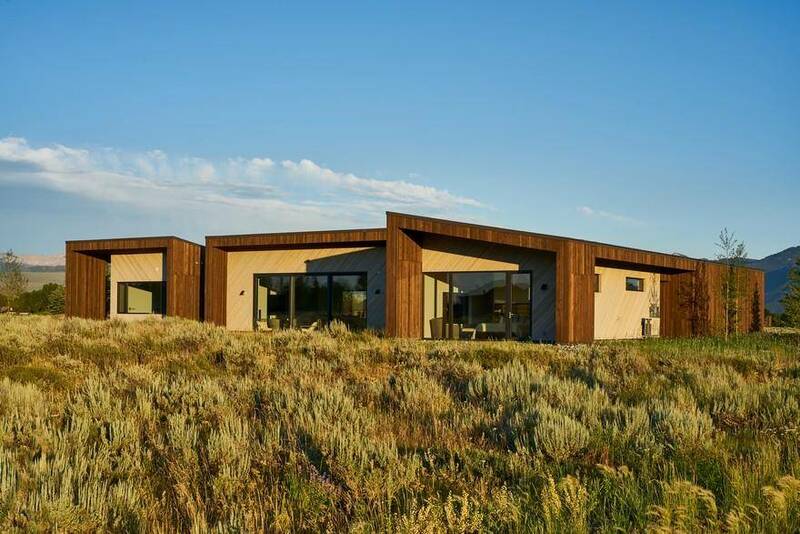 The couple lost power this past winter and the house stayed comfortable for four consecutive days in the brutal Wyoming cold when temperatures reached well below zero. 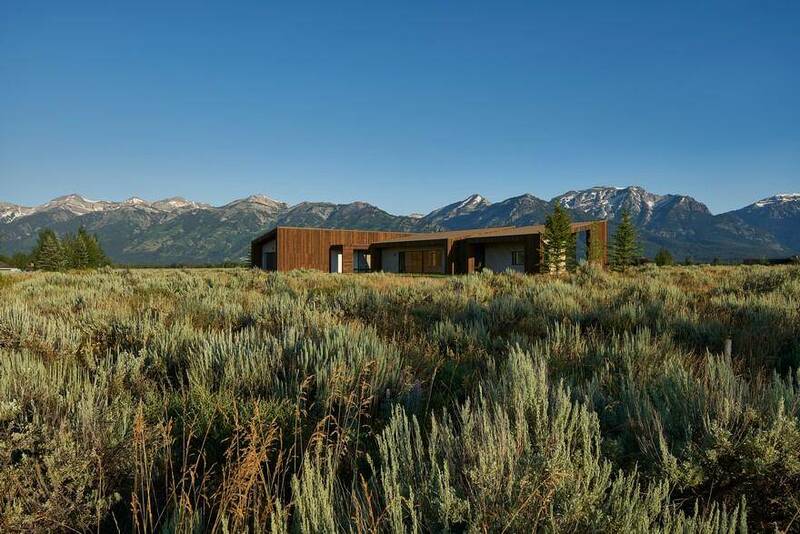 The rich dark-brown vertical Douglas fir exterior siding, from Montana Timber Products, melds into the native woody sage-brush tones and harmonizes with a lighter Cedar in intermittent horizontal bands around the house. 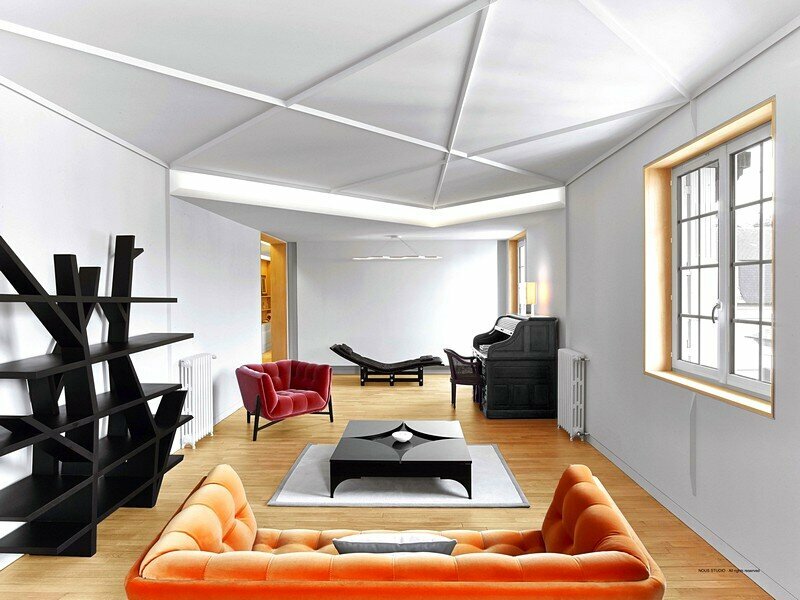 The sloping winged walls have mitered corners and nails laid out in perfect dimensions. 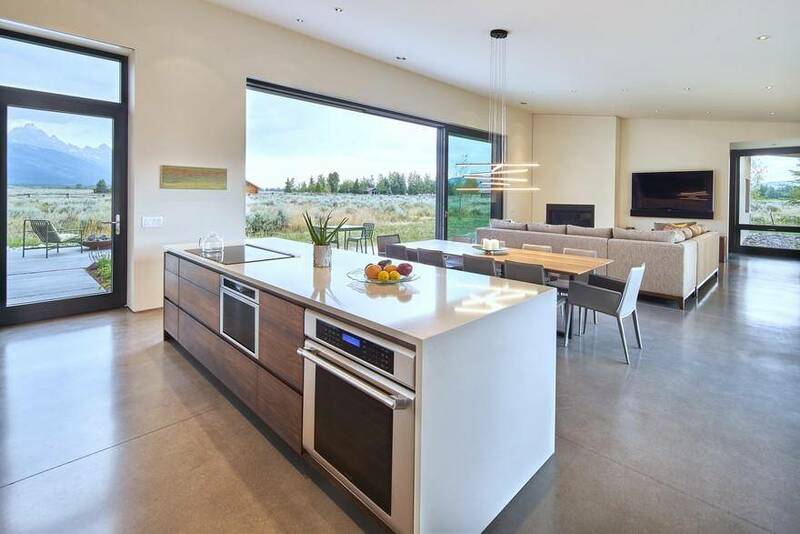 The clean and modern interior finishes–by local designer, Jacque Jenkins-Stireman–echo the home’s exterior architecture making it seem even more spacious. 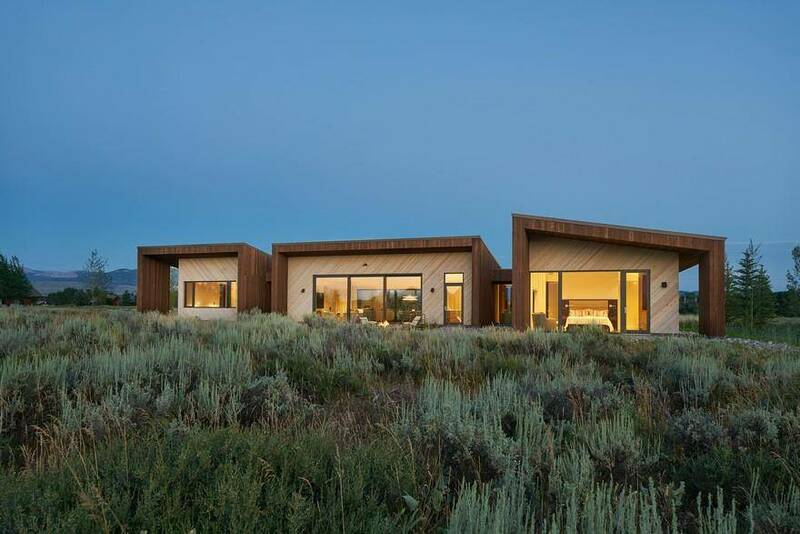 The kitchen cabinet doors, dining table, master bedroom furniture, custom built-in office desk and entryway bench are fabricated from a mixture of walnut, mimicking the same hue as the façade’s Douglas fir. 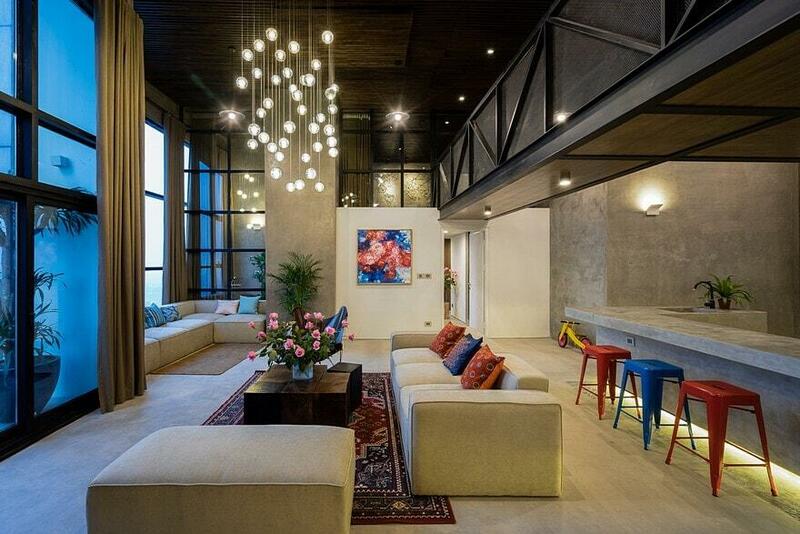 The homeowners’ son-in-law, Alex Everett handcrafted many of the custom pieces. 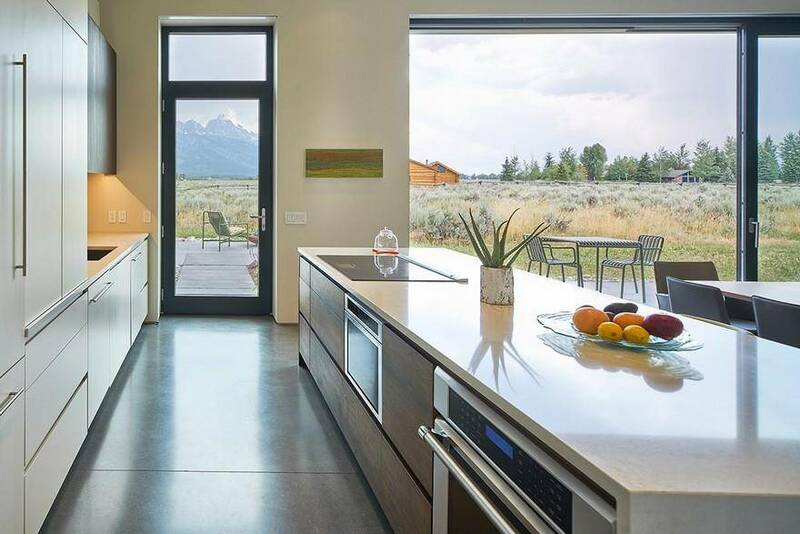 Just off the kitchen, clever “window walls” of Zola Windows enormous 24-foot triple Zola Lift & Slide door and large fixed units of 8-foot by 10-foot windows–with a custom matte metallic gray–surround the living room and direct one’s gaze to the panoramas unfolding beyond, while retaining an intimate connection with the natural sage-brush landscape.